1. 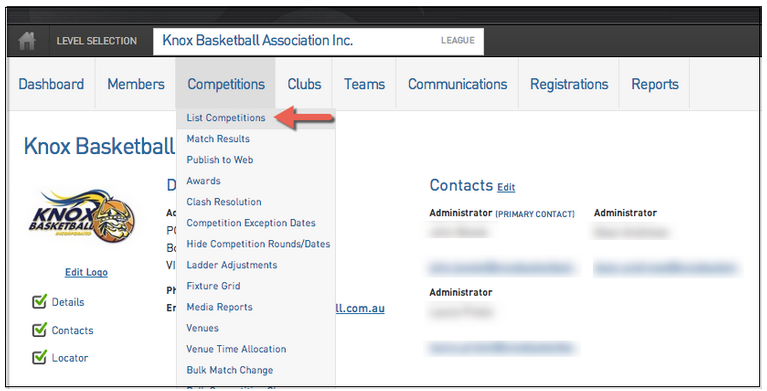 Hover over the Competitions menu and click 'List Competitions'. 2. Click on the symbol on the left hand side to get into the competition. 3. Once in the competition, click Edit. 4. Scroll down to the Days Competition Run section and make sure the appropriate days are selected. After configuring your competitions, you will just need to ensure that the Venue Start Times have been configured. 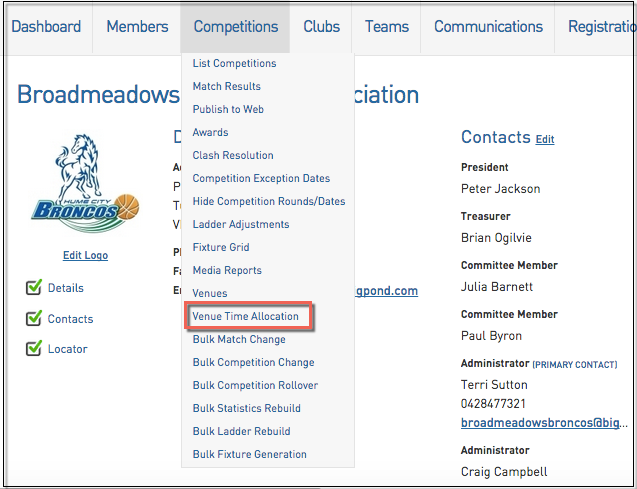 Once you’ve configured the competition and the venues you’ll then be able to set up the Venue Time Allocation. The system will recognise how many games per round are to be played in your competition and will list them in the Unallocated section on the left hand side (as below). The above example shows one match that is unallocated. To allocate a time and a venue for this matches, simply click and drag the match into the correct time slot. Once done you will then be able to generate the fixture.